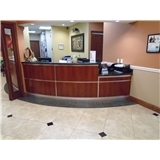 Family Dentist of Palm Beach (Royal Palm Beach) - Book Appointment Online! We are proud to commit our time, energy, and dedication to help people achieve best oral health and self-confidence in a kind and compassionate manner. With this in mind we strive to create an environment which fosters health and well-being of our patients on their journey toward better dental health and self-esteem. We believe preventive care is the most practical path to this end.